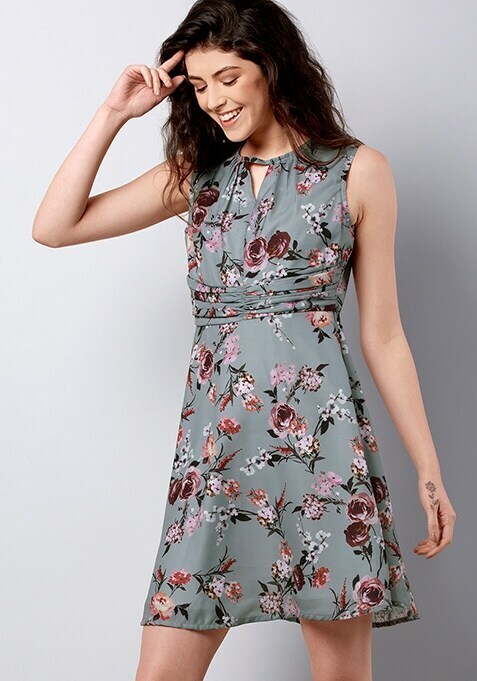 Keep it simple and sassy in this floral grey dress that makes a perfect summer wear. Featuring floral print, round neck and ruched waist. Work It: Style this dress with smart heels and dainty accessories to look fab.